I believe that EVERYONE should be the best person that they can be in all aspects of their life. During the spring, I was reflecting on my classroom culture and my students' strength and weaknesses. 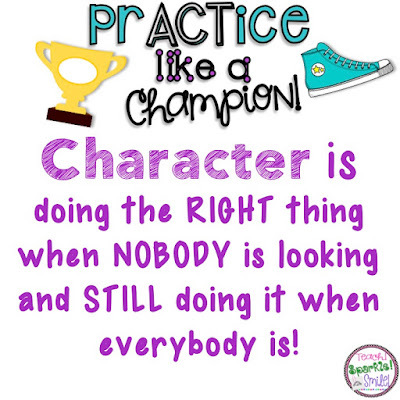 I was thinking what can I do better as a teacher to create the best possible culture in my class and teach my students about character (and to OWN these positive character traits). How many times do we say "be responsible", seriously what does that even mean to a 7 year old?!? 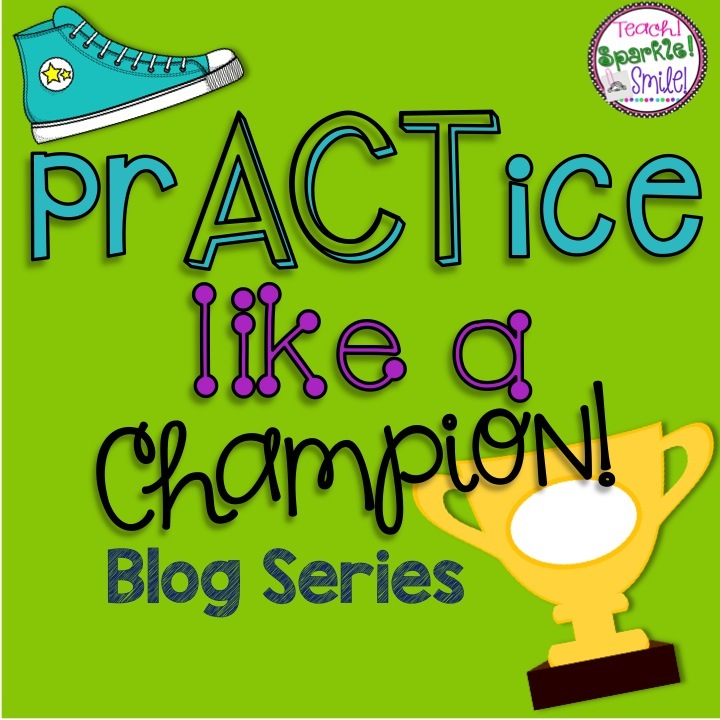 I had an AH-HA moment… students need to be taught expectations and learn about character, just like my cousin needed to be taught the importance of hustling. Have you ever watched a sports team warm up before a game? Every team member knows the routines and procedures for their warm up without their coach yelling at them what needs to be done … AMAZING right!? How do they ALL know what is expected? 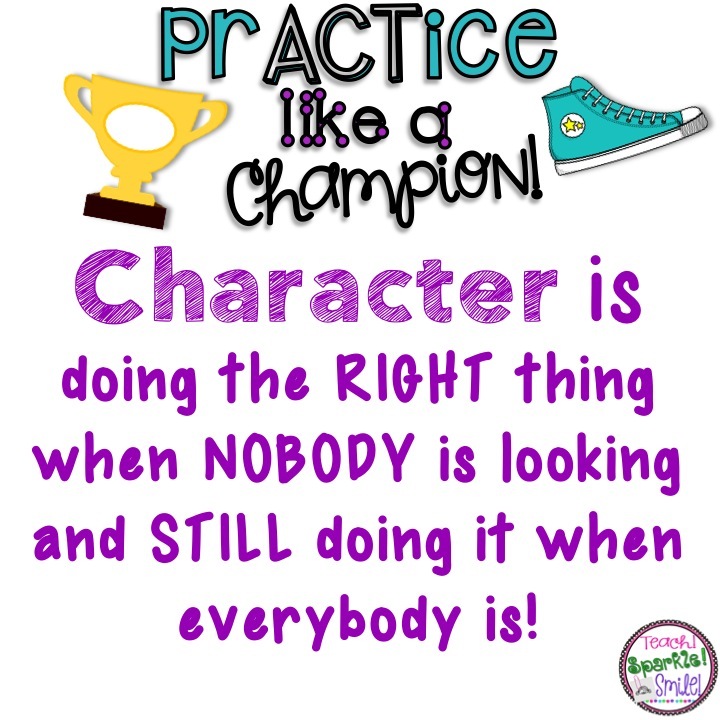 Yep… someone taught them and they practiced! It is the same idea for our classroom. 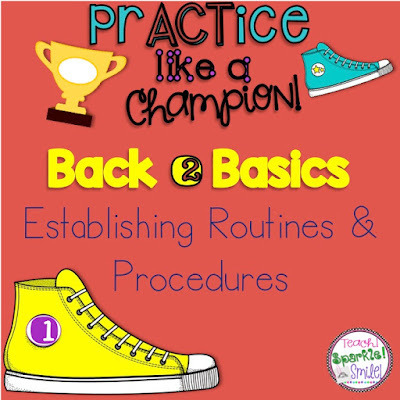 We need to communicate ****TEACH**** our expectations to our students and let them know WHY the routine/procedure is necessary. 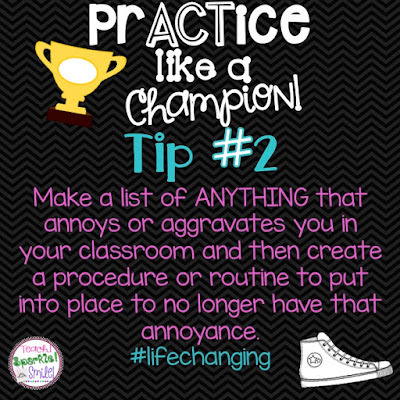 Seriously … how many times do you get annoyed over something (aka the pencil situation) that seems so silly? 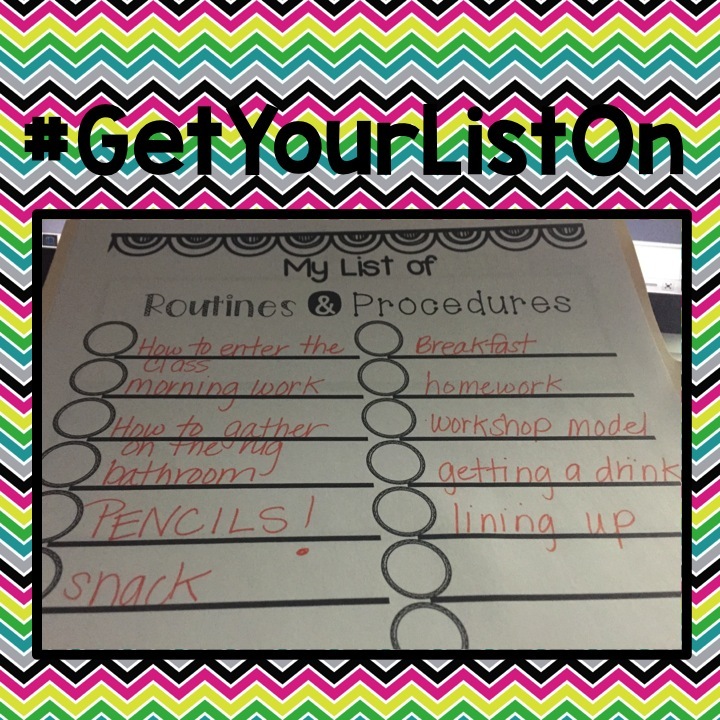 The routines and procedures are the warm ups to our school day. Sounds simple … right? I seriously think that establishing your routines/procedures is one of the most IMPORTANT parts of the year! 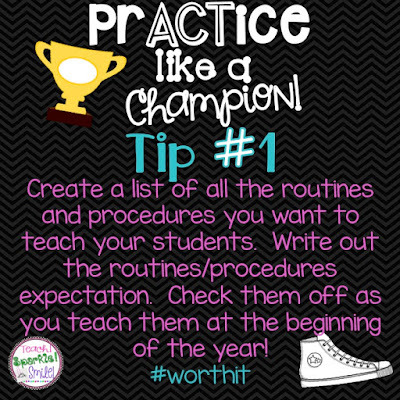 Routines and procedures are worth putting the time in at the beginning of the year. 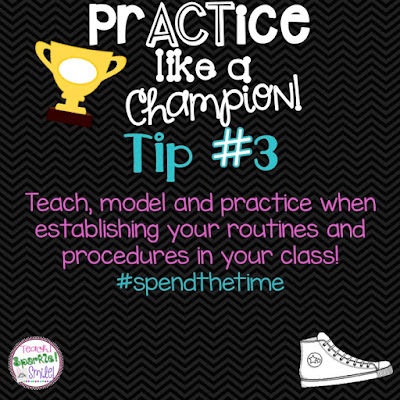 Take several days to teach through modeling and practicing. Spending that time at the beginning of the school year mastering your routines/procedures will allow for more time on task and learning for your students, which is the ultimate goal. Students will know the structure of your day and will become more independent and not ask you 29348984929 questions. You will be able to have more time on teaching, rather than dealing with basic stuff (Can I go to the bathroom … in the middle of your teaching… yes make a procedure around that)!!!! 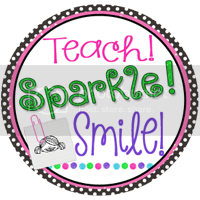 This can be super helpful for teachers who use the workshop model or are pulling groups because students will understand what to do when they aren't directly working with the teacher! 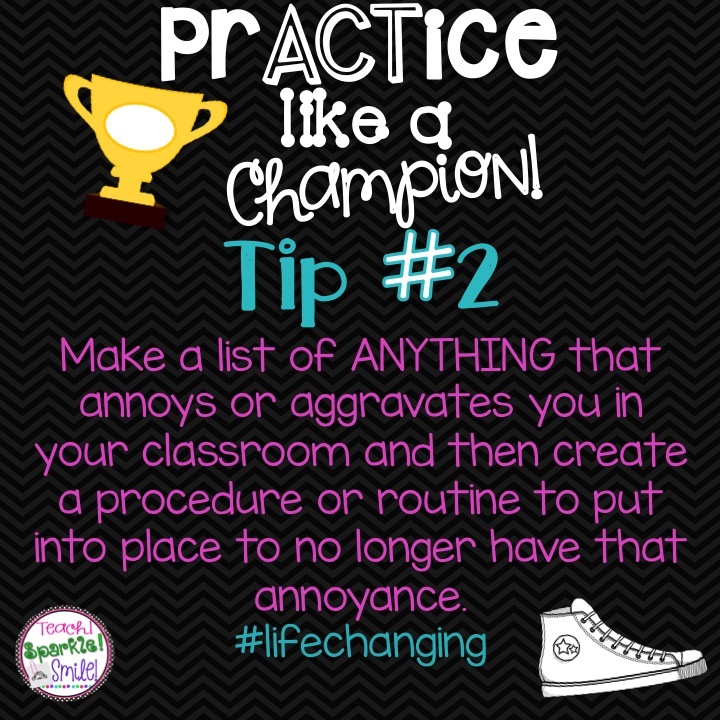 My students know they can't ***unless it is super important*** come over to me when I am pulling groups … BUT… they do know ways to manage themselves during that time. How to go to the bathroom, ask a friend for help, etc. Grab the template above to start planning what routines/procedures that you want in your classroom!!! I Love B2S (and a GOOD SALE)!!!!!! ASSESS ME! 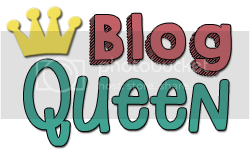 A GET TO KNOW YOU LINKY!